SKETCH- Yes. Stuck to bacK. 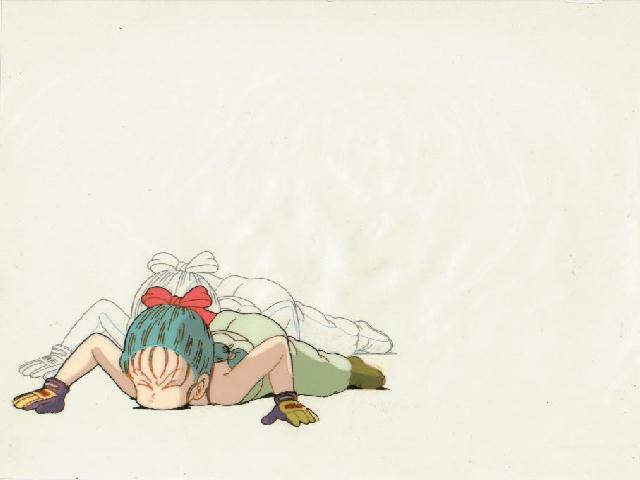 LAYOUT- The cel is standard, approx 10.5" x 9.0"
BULMA - "Where was that harem?" 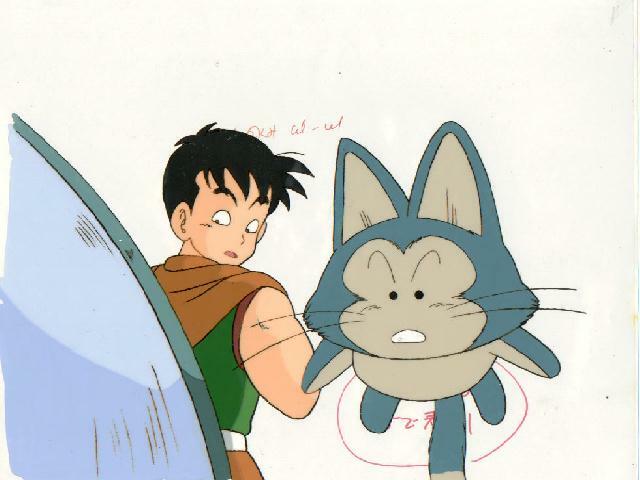 This cel is from Ep 9...right before Bulma is turned into a carrot by Boss Rabbit. CONDITION- Cel is in excellent condition!! Strong colors! Some line fading! MASTER ROSHI & BULMA - From the 10th Anniversary Movie Special. 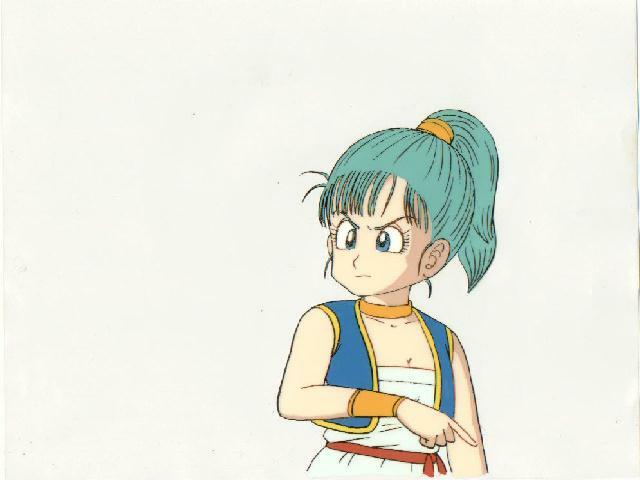 (Movie 14) From some reason, Bulma's hair magically turns from Blue to Purple! SKETCH- Yes. Full sketch of Roshi, and a sketch of bluma's mouth. LAYOUT- The cel is standard, approx 10.5" x 9.0" Image placed in exact center on the cel. LUNCH - I think this is from episode 14-15, I'll have to watch them again. 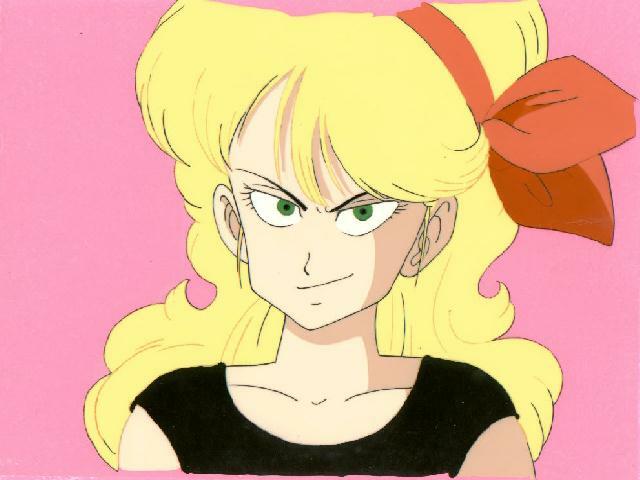 I Wish they would have kept her in DBZ! BACKGROUND - Yes, but not an actual background. CONDITION- Cel is in excellent condition!! Strong colors! Line fading only in hair. 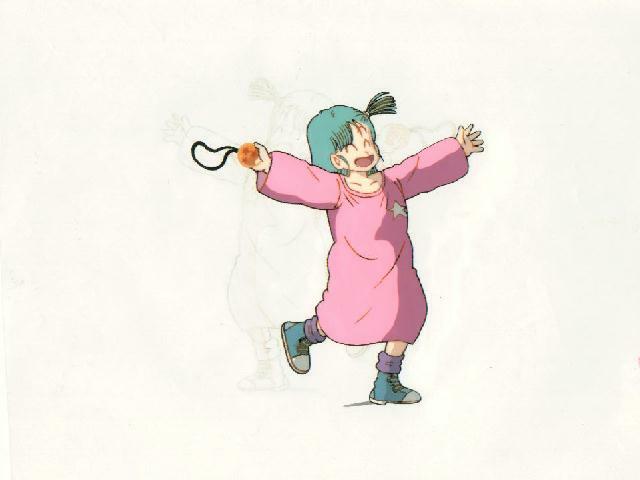 BULMA - "I love boys this much!" This is a scene from Ep. 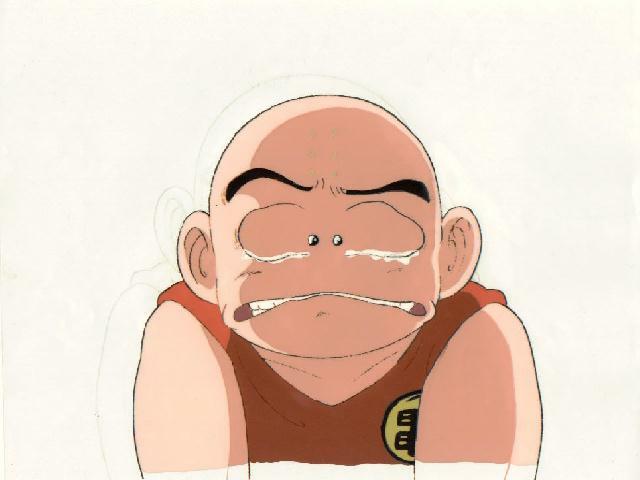 3 when Master Roshi gives Bulma his Dragon Ball! CONDITION- Cel is in excellent condition!! Strong colors!Some line fading!